I'm just back from 16 days in Ibiza - the previous 16 posts were written in advance of the holiday, as I like to publish something on the blog every day. There were several small coincidences on the first day of my trip. First, at the airport, we bumped into the lady who sells us our Cornish Pasties! She was also going to Ibiza, on the same flight, but to a different part of the island. Once on the plane the pilot introduced himself - and his name was the same as my son's. Better add that we drove to the airport in a small car we have - a Seat Ibiza! So that's three small coincidences, but there are more. One of the blogs I read every day (unless I'm on holiday!) 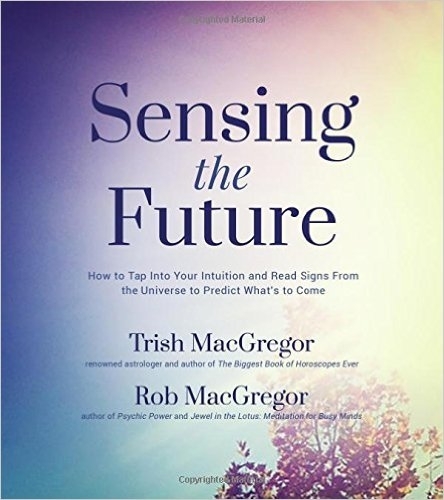 is Rob and Trish MacGregor's synchrosecrets. My wife was reading a book on the plane by Alan Titchmarsh, a UK television presenter. She asked me to hold the book while she got something out of her flight bag. As I did so I flipped through the pages. There seems to be a trend nowadays for paperbacks to have, at the back of the book, a chapter or intro about another publication by the same author. In this case the book they were plugging, with a full length chapter, was called Mr. MacGregor - and sure enough, when I looked at the chapter, Mr. MacGregor was called Rob! (The character's father being Jock MacGregor - though he didn't have a wife called Trish!). And then it went on. We arrived at our pre-booked hotel and the road opposite was called Carrer de John Lennon I'd been listening to John Lennon on the flight. We went for a walk, after dumping our luggage in our room, to look at the sea. It was very sunny and we walked quite a way until we reached a river - the only one on Ibiza and I believe the only one on the Balearic Islands. We crossed over the bridge and there were about ten padlocks fixed to the wire supports and one of these had my initials 'MP'. So all in all the signs were that we would have a good holiday - and this turned out to be the case. P.S. The 'real' Rob MacGregor's latest book Double Heart is now available on Amazon. You're back. What happened to my postcard! Glad you had a good time and that's a hat full of coincidences you had. More to come? What a string of synchros! All the signs were sure there for a terrific holiday. Too funny about the Rob part - and thank you for mentioning his book. Hope there are more to come about Ibiza. Have never been there.